Every time I go to start a solo game it gets to the doors and crashes. Please help. this error happen when i click "save and exit games"
critical error when using the launcher mxl launcher, unhandled exception: access violation (c0000005) when i clicked the plugy icon -happened first time when i was killing a monster then my character stopped moving and also when saving exit the game. no problem opening the game when i clicked the LOD icon. Plugy only works if using D2SE. Plugy is not compatible with launcher. PS: Think it shall be written in launcher topic to prevent that confusing.. The launcher can now launch 2 diablos so muling is alot easier and if youre looking for additional tools i´d recommend d2stats for general dropfilter and stat screen. 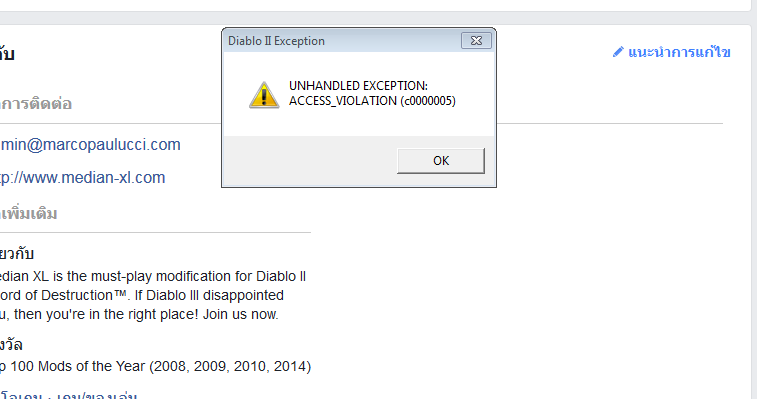 never experienced this problem before, ill do a clean install tomorrow and download d2se. damn the one who invented the trojan jungle and put quests into it. i just wont continue playing just because of this "feature".